The term cognitive warfare has entered the lexicon over the last couple of years. General David L. Goldfein (United States Air Force) remarked last year we are “transitioning from wars of attrition to wars of cognition”. Neuroscientist James Giordano has described the human brain as the battlefield of the 21st Century. Cognitive warfare represents the convergence of all that elements that have lived restlessly under the catch-all moniker of Information Warfare (IW) since the term’s emergence in the 1990s. However, military and intelligence organisations now grappling with this contentious new concept are finding cognitive warfare to be something greater than, or as Gestalt intended, different than, the sum of these parts. Cognitive warfare is IW with something added. As we begin to understand more about what has been added, awareness is growing that western military and intelligence organisations may have been caught playing the wrong game. ...As Clint Watts has surmised, where IW described a war of information, the cognitive battlespace is a war for information as it is transformed into knowledge via the processes of cognition. The technologies of the networked digital age, conceived by the US and its allies as an accumulation of advantages on the conventional battlefield, and unleashed by the clamour for profit of the commercial sector, were transformed into a strategic gift for an imaginative adversary and thus presents us with the current dilemma. The convergence of IW into cognitive warfare has been forced upon us. Cognitive warfare presents us with an orientation problem. Adversary actors have strategised to avoid a confrontation with US and allied forces at their strongest point – namely, in high intensity conventional warfare. They have pursued gains in various domains that remain under the threshold of inducing a conventional military response. While US and allied forces have mused over ways to bolster below-the-threshold capabilities, the adversary has been busy changing the rules of the meta-contest. By denying, disrupting, and countering the narratives that underpin US and allied legitimacy, and by stifling our capacity to regenerate the preferred narrative via sophisticated and targeted disinformation operations, the adversary has changed the context within which force and the threat of force is situated. In other words, the diplomatic power of the traditional force-in-being of allied militaries to influence the behaviour of others is being diminished. Furthermore, the actual deployment of lethal kinetic capabilities will be subject to a similar reorientation where and when they occur. Simply put, lethal kinetic capability, as the traditional remit of military organisations, has undergone a reorientation at the hands of an adversary enabled by the hyper-connected digital age to manipulate its context to an unprecedented extent. Cognitive war is not the fight most professional military practitioners wanted. A little discussed aspect is the extent to which our military and strategic culture perceives it as a deeply dishonourable fight. A cultural bias – if not a genuine cognitive blind spot – is at work and has slowed our response. But national security, before it is about winning kinetic battles and before it is centred on the profession of arms, is at its core about ensuring that people are safe to live their lives: it is about keeping the peace and protecting the population from harmful interference. This includes the harm that disrupts our capacity to conduct our collective social, economic, and political lives on our own terms. Israels war with Islamist terror groups has been almost exclusively a cognitive war, not a kinetic war, and too many observers have still not realized it. Traditional kinetic wars have been fought in order to change the political facts by fighting with traditional weapons. Cognitive wars try to change the political facts by influencing others psychologically. In such a scenario, a victory in a kinetic war can easily become a loss when the victors are painted as immoral and cruel, and the world reacts to that perception. Israelis are understandably frustrated at the IDF firing at empty buildings, at their warning people (including terrorists) that a bomb is on its way. But this is not a conventional war - it is cognitive. And perhaps this conflict between Israel and Hamas, now over a decade old, is the first war where the side with the overwhelming military advantage is at a significant cognitive disadvantage that renders most of the military capacity useless. This war is unique. Hamas and its allied terror groups wants to see civilians die - on both the Israeli and Gaza side. Dead civilians in Gaza is a victory for them in the cognitive battlefield of world public opinion. Every time a reporter does a "body count" showing how many more Gazans were killed than Israelis, Hamas wins. This is why Hamas' wartime strategy is to maximize Gaza civilian deaths. 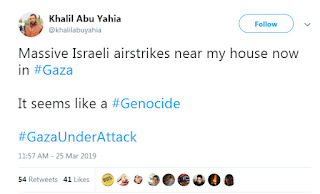 Hamas deliberately places its military targets in residential areas, Hamas has been known to threaten Gazans by force not to leave their homes when Israel warns them of upcoming attacks, Hamas threatens any reporters who show rocket launches from between civilian buildings. Hamas spends its money on bunkers and tunnels to protect its fighters from Israeli bombs - but not a penny to protect the people. Dead civilians on the Israeli side is a victory for Hamas as well in local Palestinian public opinion. They paint such "victories" as an indication that they have nullified Israel's defenses. The recent terror attack that killed Rabbi Achiad Ettinger was loudly praised in Palestinian media as a brilliant and complex operation. 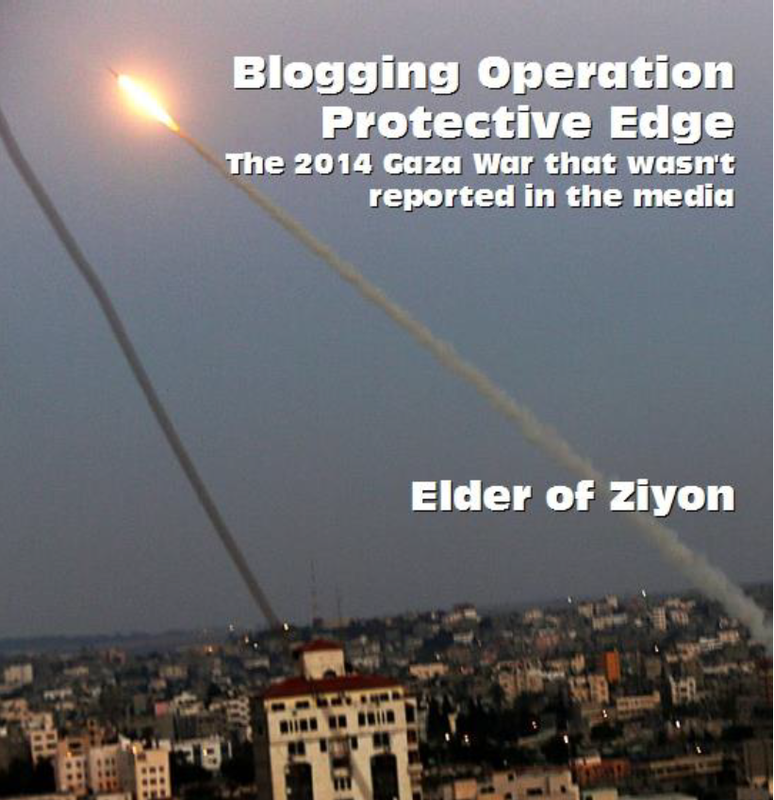 On the other side, the IDF properly has as its first priority the defense of its citizens. 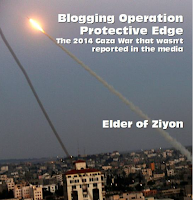 What is Iron Dome if not the most expensive per capita defense system in history? The IDF is also the first army in history that goes to extraordinary lengths to protect the lives of its enemy civilians. Leaflet dropping, "roof knocking," robo-telephone calls are all meant to tell civilians to get out of the way while the IDF hopes to bomb only terror infrastructure. Large, noisy explosions are part of Israel's cognitive war - to show Israelis that something is being done and to remind Hamas that if they go too far, Israel's restraint may be limited. All of these are purely cognitive. Reporting on the fighting as if it is a traditional war plays into the hands of Hamas, since controlling the news cycle is not peripheral but essential in cognitive war. While the West may just be waking up to the importance of cognitive warfare, Israel has been fighting it for a long time - not always successfully. In this war, the enemy isn't only Hamas. It is the so-called "human rights" NGOs who are eager to paint Israeli actions as war crimes. 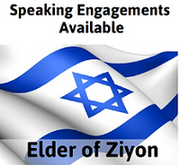 It is "Jewish Voice for Peace" and "IfNotNow" who are solidly on Hamas' side in the cognitive war. 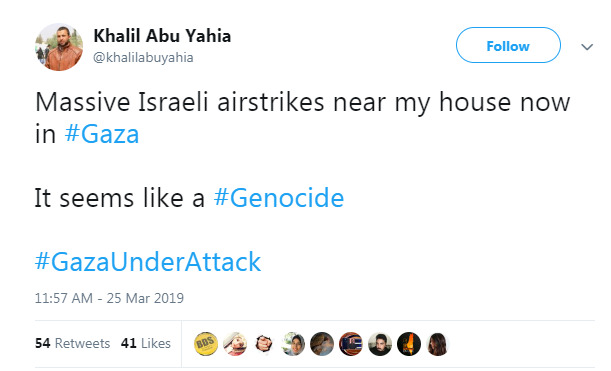 It is the pro-Hamas army on Twitter and Facebook who are quick to scream that everything Israel does is "genocide." Military superiority is not an advantage at all in a cognitive war - and it can easily be spun to be a disadvantage. In the cognitive war, whether they realize it or not, reporters are weaponized. If they fall for the lazy way to report the fighting as if it is a conventional war, they become tools of the terrorists. The cognitive war demands an entirely different way of thinking, not only from the combatants but from the observers, who are caught up in the battle whether they like it or not. People who are easily manipulated are the targets in this war. Each of us must ask ourselves whether we want to be manipulated or do we want to think for ourselves.